Justin Murray has been Recruiting staff for positions within the Finance & Accountancy sector in Norwich and across Norfolk for several years. Recruiting at all levels from Clerical, Part Qualified Accountants to Fully Qualified Financial Directors and Partner level positions. 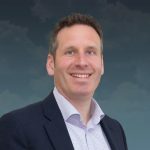 By listening to feedback from clients and candidates alike Justin has refined Big Sky Additions service levels and ethos to provide a slick operating procedure and a level of integrity unrivalled by ‘Big Boy’ competitors. Justin believes you have to be competitive and focused to succeed within recruitment as many recruiters can ‘burn out’ and it becomes obvious very quickly that this isn’t the right career for all. Justin is heavily involved with intense fitness training and aims to develop a sense of well being and positivity which comes across in the way he approaches his role as Recruiter and Business Owner of Big Sky Additions. He is also a big fan of motorsport on both two and four wheels and has been lucky enough to attend and be involved in events across Europe. To find out more about Justin Murray and Big Sky Additions or to discuss why Justin and Big Sky Additions can offer a superior level of service please feel welcome to contact Justin ANYTIME. Big Sky Additions don’t have restrictive office hours so call anytime on the link below.